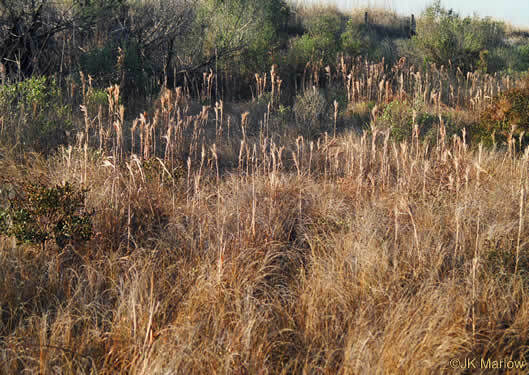 Gardening with Native Plants of the South p173? 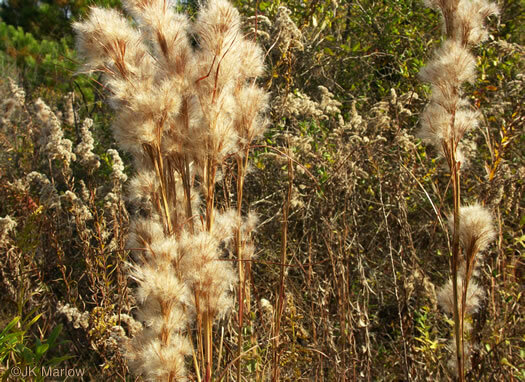 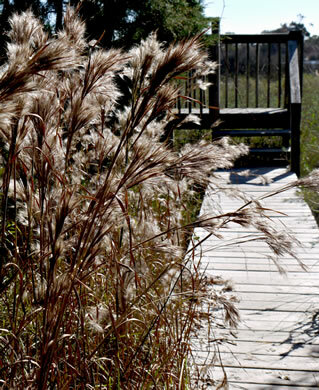 Native Alternatives to Invasive Plants p200? 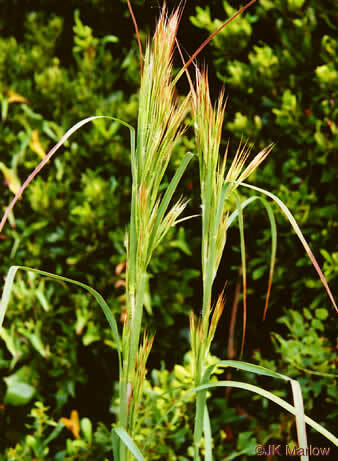 Weeds of Southern Turfgrasses p024? 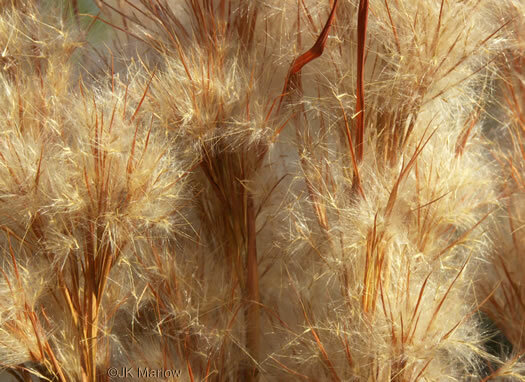 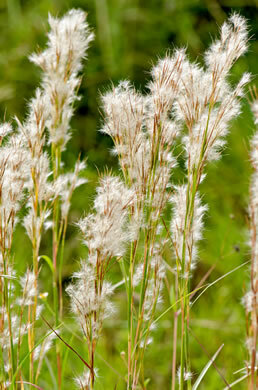 Silvery plumes in rigid, tightly packed bracts look like a feather duster, per Native Alternatives to Invasive Plants. 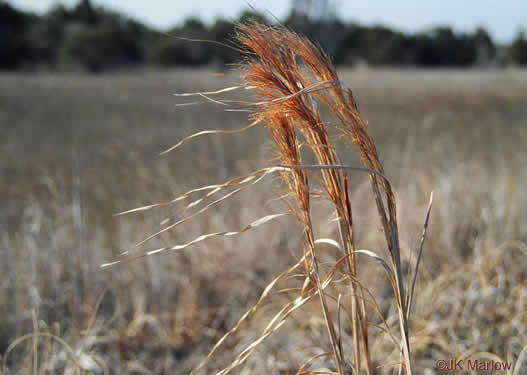 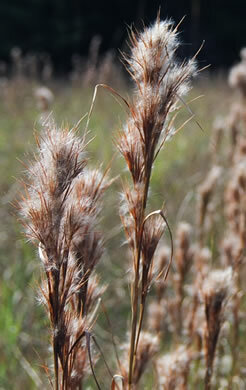 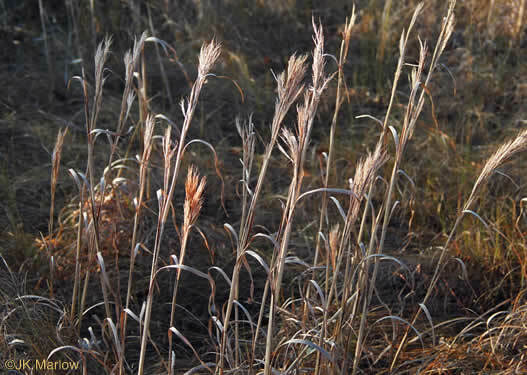 Inflorescence dense, feathery, from flabellate [fan-shaped] to oblong, per Manual of the Grasses of the United States.